or raised surface so you can find it easily with your finger. 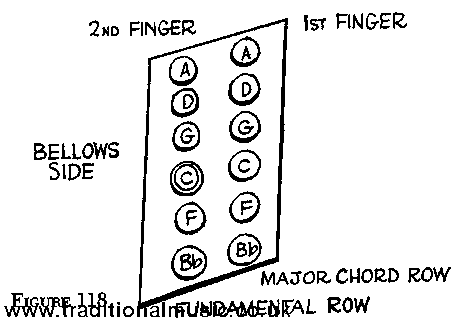 finger and you will get the major chord of C.
you make by pressing the G button in the major chord row. fundamental D and the D major chord. "My bonnie lies over the ocean," which is a musical phrase.